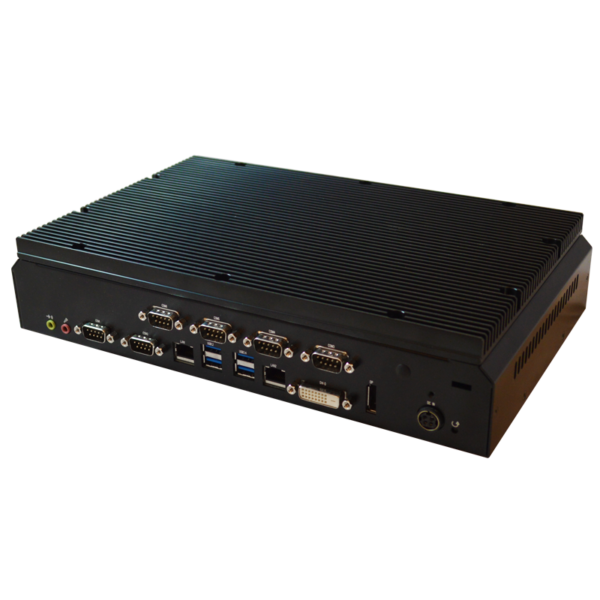 The CorBox IP65 Extended Temp Box PC is a custom designed enclosure to a specific set of requirements. This 12” x 12” x 6.5” box is intended to support Mini-ITX motherboards. Additional features include a blank field on the top cover that provides an area for corporate branding, internal mounting for a SSD/HDD storage device, and an integral heat sink that can be thermally attached to the CPU to assist in removing heat from within the box.